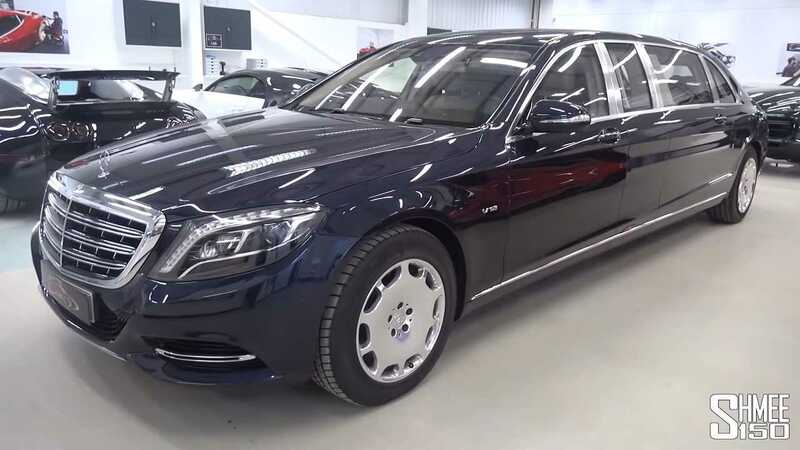 If for whatever reason you’re finding the standard Mercedes S-Class to be a bit on the small side, the long wheelbase version might just be what you need. Still not enough? The Maybach version is even longer, but if your wallet can handle it, there’s an even bigger version of the company’s flagship sedan. Enter Pullman. The most luxurious car ever built by Daimler has a wheelbase longer than the entire length of many compact cars, stretching at an imposing 4418 mm (173.9 inches). Shmee150 had the opportunity to film the 6.5-meter (256-inch) luxobarge in the pre-facelift guise and we figured it’s worth sharing considering the Pullman is not exactly a common sight. It’s everything you like about the V12-powered S-Class, but with a lot more space inside the cabin where there are four rear seats arranged vis-à-vis and with an electrically operated glass partition wall for extra privacy. Being so long, it doesn’t come as a surprise Mercedes found a way to install no less than 24 speakers throughout the interior as part of the fancy Burmester sound system. The sheer size of the car is more evident when you see the impressive length of the rear doors granting access inside the lavish cabin where lambswool floor mats and a plethora of electric curtains denote it’s not just any S-Class, it’s the ultimate S.
Not only is the Pullman version a little over one meter longer (1053 mm / 41.4 inches to be precise) than the “lesser” Maybach S-Class, but it’s also 100 mm (nearly 4 inches) taller and that translates into more headroom. As you’d come to expect from a limousine, there’s leather just about everywhere as standard, including on the door frames and the headliner where there are roof-mounted dials for temperature, speed, and time. As a refresher, Mercedes updated the Pullman earlier this year by giving it a new grille with vertical slats, fresh 20-inch wheels, and an upgraded V12 engine now packing 630 horsepower (463 kilowatts) and 1,000 Nm (737 lb-ft) torque. The car featured here has to make do with “only” 530 hp (390 kW) and 830 Nm (612 lb-ft).